The Boston Globe praised Sen. Elizabeth Warren's (D-MA) faith in a piece this weekend describing how religion is a "constant" part of her life. They advertised it as such on Twitter. In her piece, writer Victoria McGrane detailed Warren's underreported relationship with prayer. The senator’s personal religious views are part of her life that few if any of her supporters or detractors think of when they contemplate the Massachusetts lawmaker, who has built a national reputation on the strength of her populism and is on many political observers’ short list of likely 2020 White House contenders. But religious leaders who have known her since her first run for public office say her Christian faith is a constant, if quiet, presence in her life, that it is deep and authentic, and informs her work as a senator. Former George W. Bush Press Secretary Ari Fleischer noticed the headline and made an observation. I wasn't the only one who sensed the sarcasm. You are 100% correct, Ari! The MSM would never have given him anything remotely glowing like this about his faith! Bush wore his faith on his sleeve during his two terms, yet Fleischer is suggesting that it received crickets in the media. 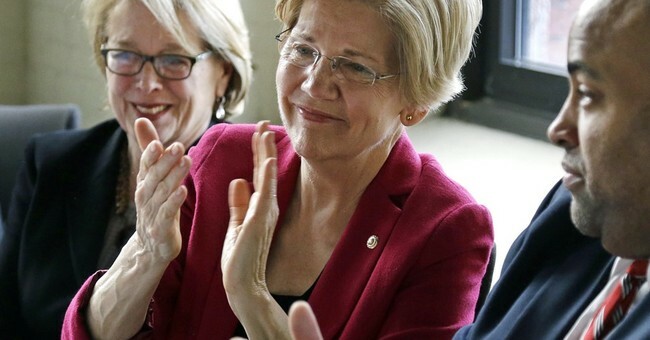 Warren's critics snickered at The Boston Globe piece, wondering how Warren could be such a woman of faith considering she is a pro-abortion extremist. President Trump has also been criticized for daring to say he's religious judging by his controversial rhetoric. Yet, he has been earning praise from Christian leaders for his policy agenda, and most recently for declaring a National Day of Prayer for Hurricane Harvey victims.